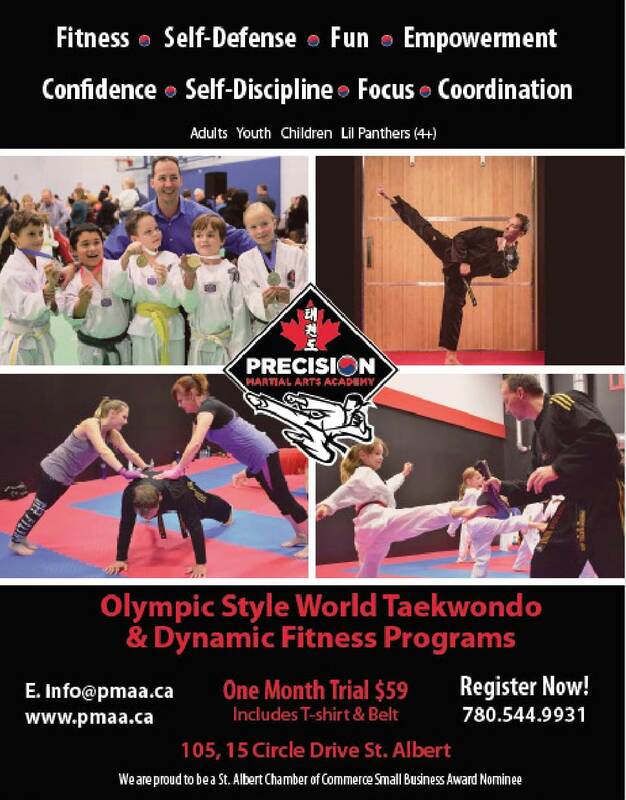 Precision Martial Arts Academy (PMAA) in St. Albert, Alberta offers a Professional and dynamic Adult Taekwondo and Fitness Program designed to challenge, motivate, and inspire students and instructors to do their best…to be their best! 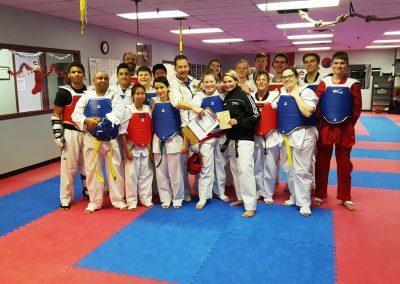 The class atmosphere and camaraderie is second to none as everyone quickly develops a strong rapport and bond with each other. This develops a unique support system with ALL students helping each other to successfully achieve their goals. 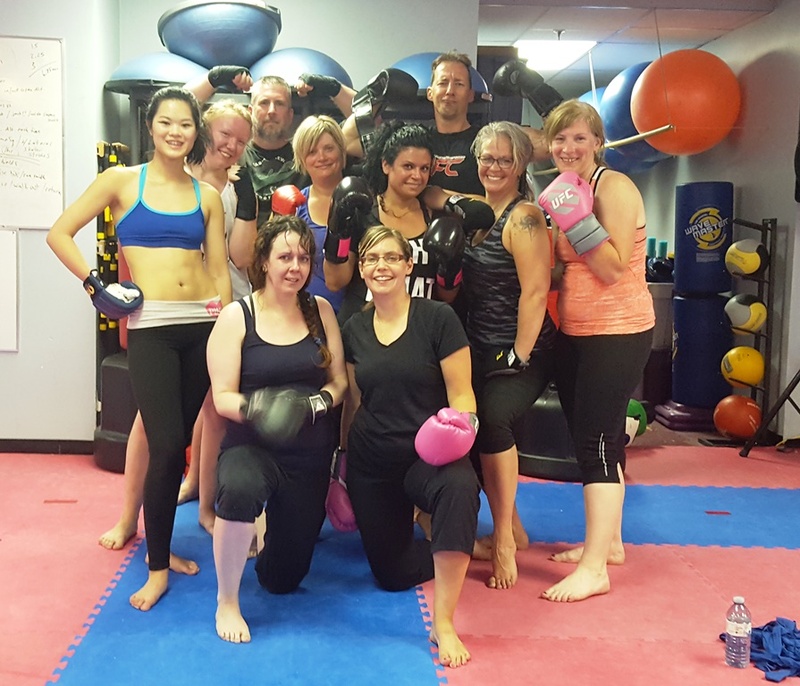 Our classes provide both men and women of all levels and abilities with an exhilarating, high energy, and dynamic experience every class. 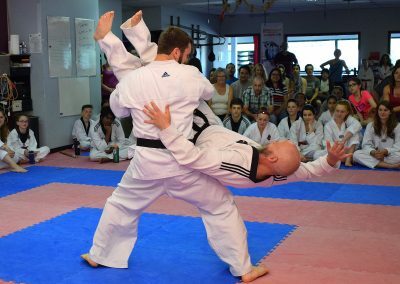 The confidence that comes from achieving physical goals and always learning something new and useful translates into many positive benefits in all areas of life. Most Adults have a high paced and demanding work, study and/or family life that can be quite stressful. 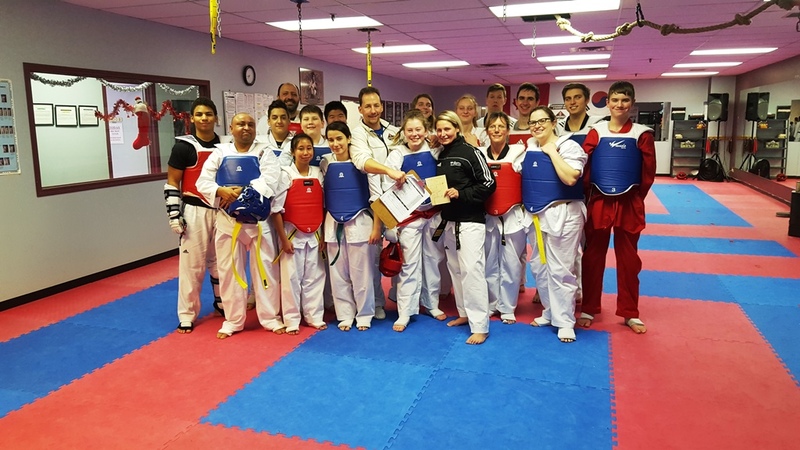 They often find the stress relief they gain from the well paced, fun and friendly Fitness & Taekwondo workouts provide just the energy and positive attitude that they need to balance and enjoy the rest of their lives. 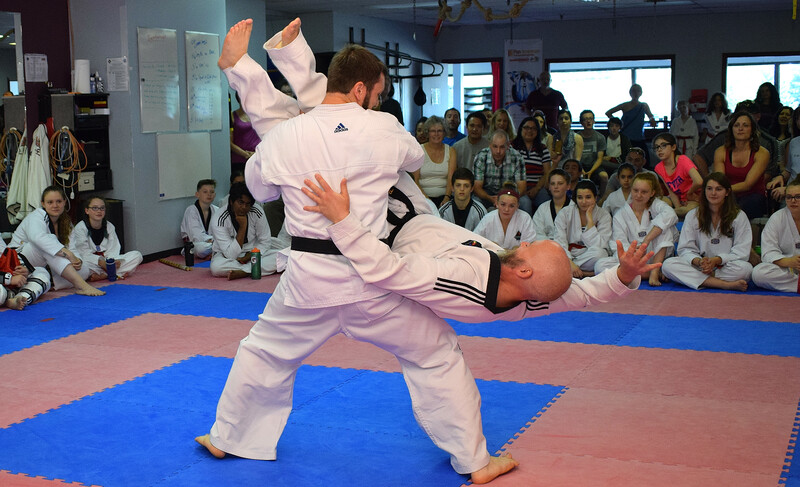 The National Coaching Certification Program (NCCP) refers to this as being “Active for Life”. 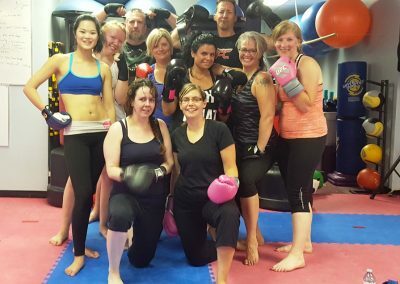 Simply put, Adults who train at PMAA can have tons of FUN while setting and achieving short term and long term goals. Functional fitness, core strength, flexibility and mobility are the health and wellness benefits that matter. 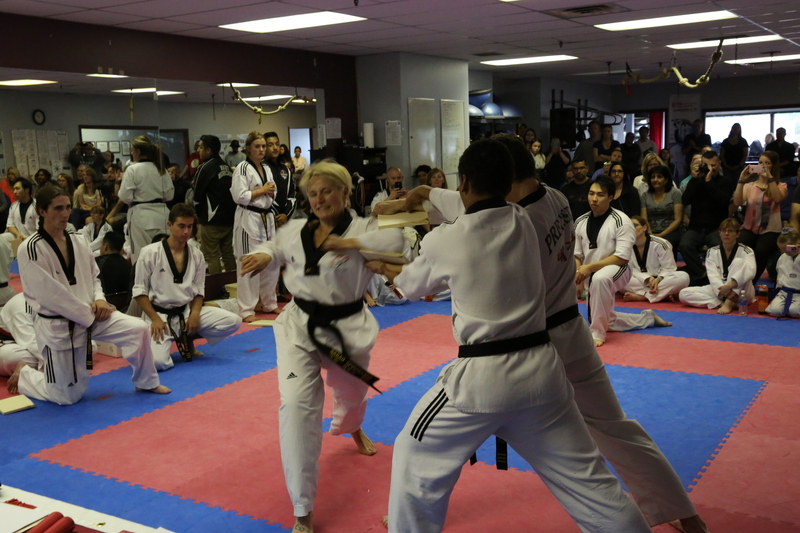 Learning and developing Martial Arts and Self-defense skills is a BONUS! Training at this “Stage of Development” is not about becoming an Olympic Athlete… moreover, training is about having purpose, meaning and knowing your “WHY” Power. 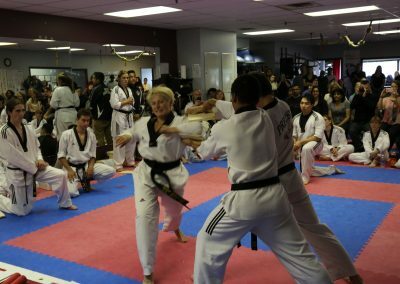 Taekwondo is truly the most fun you’ll have working out! Don’t delay…. join our Family at PMAA TODAY!